With the NFL draft only a few days away, the rumor mill is running on full speed and this is a big one from Kristian Dyer of The Athletic. With the NFL draft just a few days away, we’ll continue to preview prospects who have a chance to fill a need for the Jets in 2019 and beyond. The Jets have addressed several needs this offseason and will continue to do so in Tennessee later this week, but not every need to be addressed has to be an immediate one. Even before rumors of the Jets being desperate to trade down and add draft capital earlier this week, it was abundantly clear that Mike Maccagnan and company would be very aggressive in trying to move down from the third overall pick. The problem for the Jets could be finding a buyer who is willing to meet their asking price. So who could look to move up when the draft rolls around? Let’s take a look. A few weeks ago the Jets brought in Sean Bunting for a visit, he was a topic of conversation on the last episode of JetNation Radio. Bunting fits a necessary role that every NFL team is looking for as a man cover style defensive back. Gregg Williams likes to dial-up his blitz schemes so acquiring a corner with sticky man to man skills certainly fits a role in his various defensive packages. The NFL draft is just a week away and that means it’s time for JetNation.com’s mock draft 2.0. Jets GM Mike Maccagnan has made it abundantly clear that he’d like to trade down at this point when meeting with the media. In fact, Rich Cimini of ESPN.com said on his recent podcast that a source told him that Maccagnan is “on a mission” to recoup one of the second-round picks he traded last season to move up and nab quarterback Sam Darnold. Less than one week away from the 2019 NFL Draft, the big board for the New York Jets likely set. Off-season workouts are underway and speculation regarding the Jets pick at number three overall is rampant. Will they take a top three player on their board, or is a trade down in the cards? We’ll have to wait and see, but if the Jets do add some picks, a running back may be in the cards. The NFL released the schedules for the upcoming season and the Jets open up at home against a familiar AFC East opponent in the Buffalo Bills. The week two match up is an interesting one, the Jets are the home team on Monday night vs the Cleveland Browns. All eyes will be on the top few picks in the 2018 draft class as Sam Darnold and Baker Mayfield go head to head. Mike Maccagnan and the Jets will have some major decisions to make in the coming weeks and some of those decisions could come at cornerback and running back. 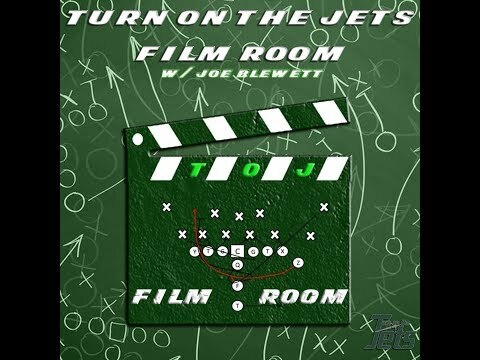 Listen to our New York Jets podcast this week as we take a look at the draft and discuss some possible prospects could be available for the Jets at these positions. There have been a lot of rumors about the upcoming schedule release by the NFL. In past years Thursday seemed to be the day that the league released the schedule. This time it will be a Wednesday, as in tomorrow night. Here is the full announcement from the NFL. The NFL will announce the official 2019 schedule tomorrow, Wednesday, April 17, at 8 p.m. ET live on NFL Network, Good Morning Football announced Tuesday. Welcome to part 7 and the final installment of the series about the faults with Ryan Tannehill and Brock Osweiler, with regards to how it limited the effectiveness of Adam Gase’s offense. We will discuss the issues with the offense itself in a later series, while also discussing the bright spots within the same offense. Please don’t take this article as an excuse for Adam Gase, since he’s far from perfect, but this is just about how his quarterbacks held him back. The Jets are reportedly set to add an experienced back-up for Le’Veon Bell by adding running back Ty Montgomery, formerly of the Green Bay Packers.Jets are signing former Packers’ RB Ty Montgomery to a one-year deal, per source. Montgomery expected to be the back to Le’Veon Bell.